Join our friends at The Cat On My Head for more Sunday Selfies! 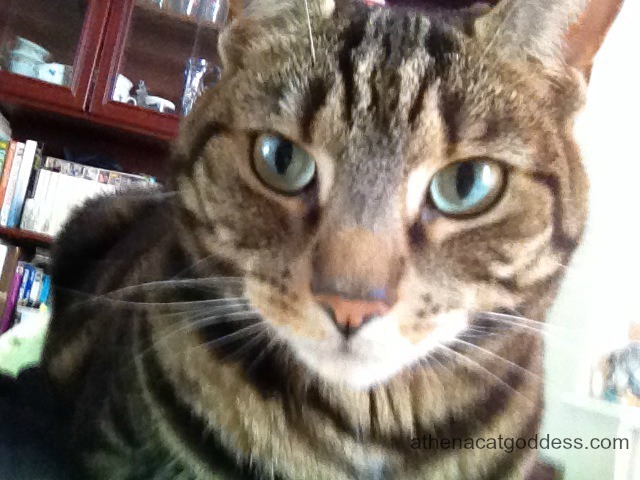 You look like you are putting great thought into your selfie this week Athena... and it is a lovely one! You could burn a hole in the camera lens with that look, Athena! My goodness, how serious you look this morning. Great selfie. You have such beautiful eyes! Such a pretty photo - of a pretty girl. Athena, you are looking mystical and glorious as always! Athena, you're looking very determined today. You have beautiful eyes Athena. What a precious selfie, Athena! Very nice Sunday selfie. I hope you've had a wonderful day.